Our clients have reported significant improvements in their sales performance as a result of Helping Clients Succeed. We are pleased to share a few examples below. After only one month of implementing the prospecting call plans, pipeline increased by 70%. 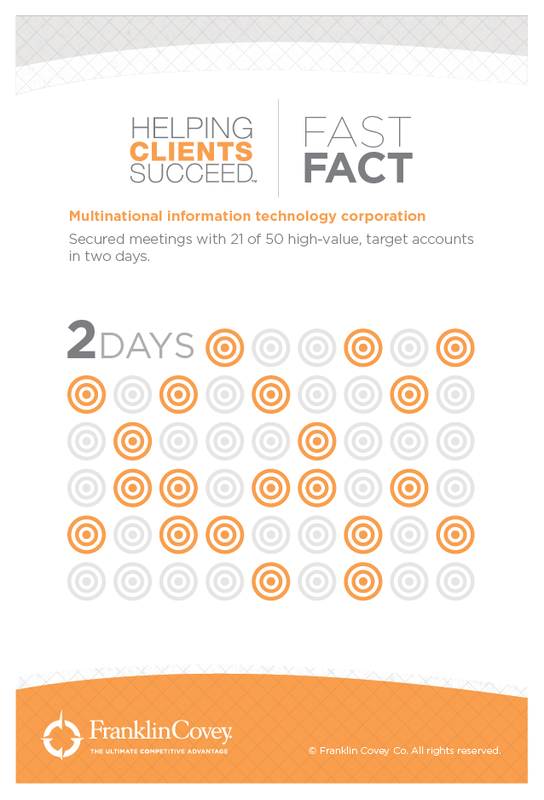 Secured meetings with 21 of 50 high-value, target accounts in two days. Within one year of the program, 80% of the sales team hit their quota - resulting in a 40% increase in sales.